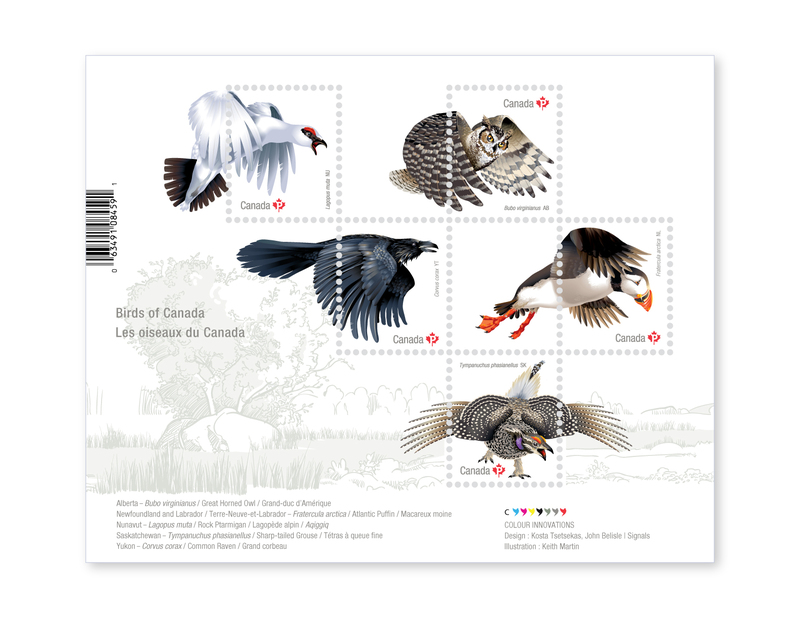 When Canada Post engaged Signals to design a special stamp series celebrating the birds of Canada, it was immediately clear that highly detailed illustrations would have to be the focus of the stamp design. Designers Kosta Tsetsekas, John Belisle and Adrian Horvath worked with illustrator Keith Martin to create the first issue in this three-year series. 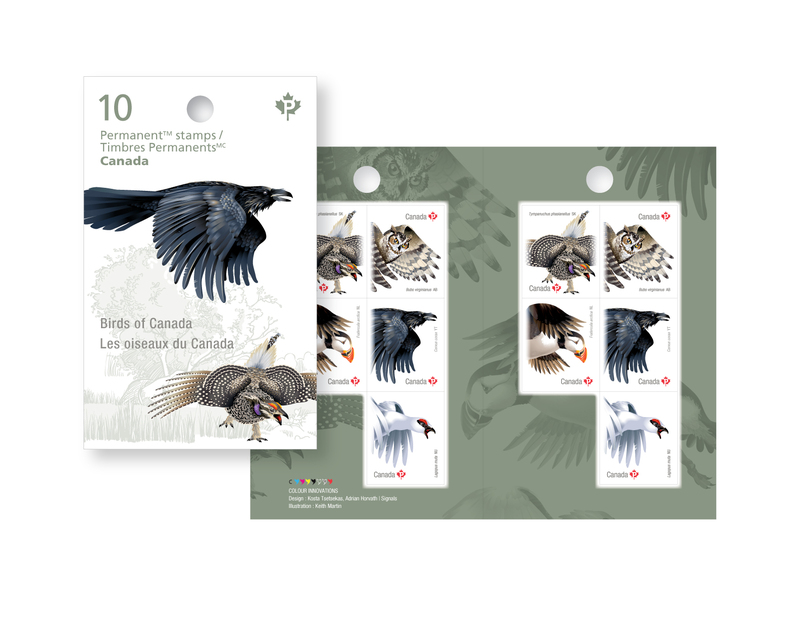 The first flock includes five official birds: the Atlantic puffin of Newfoundland and Labrador, Alberta’s great horned owl, the common raven of the Yukon, Nunavut’s rock ptarmigan and Saskatchewan’s sharp-tailed grouse. 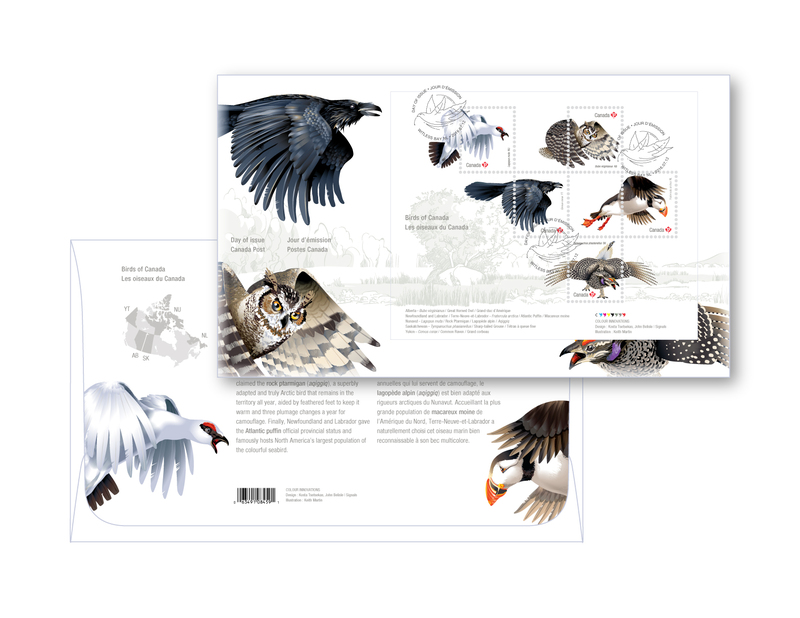 Martin’s illustrations focus on the most striking traits of each bird: the cartoon-like colouring of the Atlantic puffin and the dramatic stare of the raven, for example. But these are not static portraits: Martin chose to depict the birds in their most energetic moments, at the point of take off and landing. 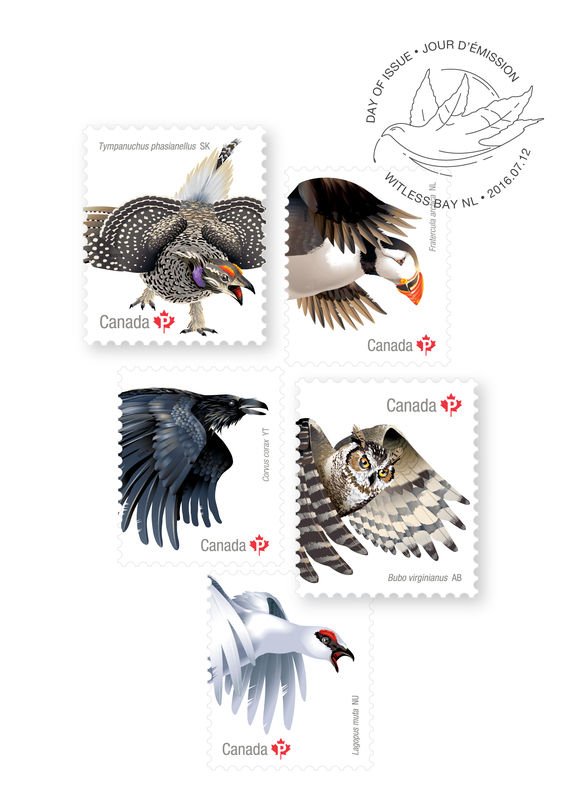 The complete illustrations that featured in the larger souvenir sheet and postcards reveal the unique character of each bird. 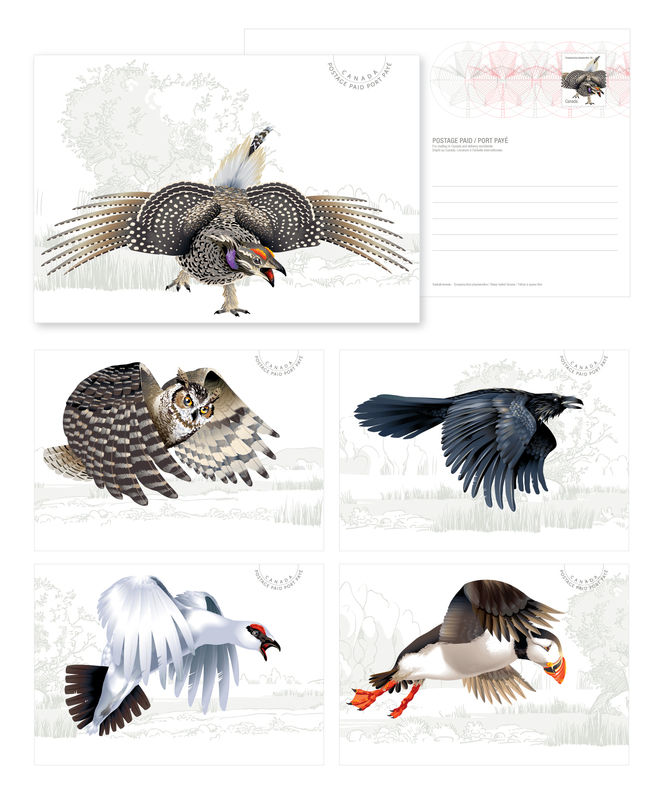 In these illustrations, Martin captured the rich patterns, colours and textures that come together to create the character and warmth of these beautiful avian natives.